“There's must be a more civilized way"
Well now there is! Why make those poor elves slide down the dirty chimney when you can provide them with a direct route straight into your living room. 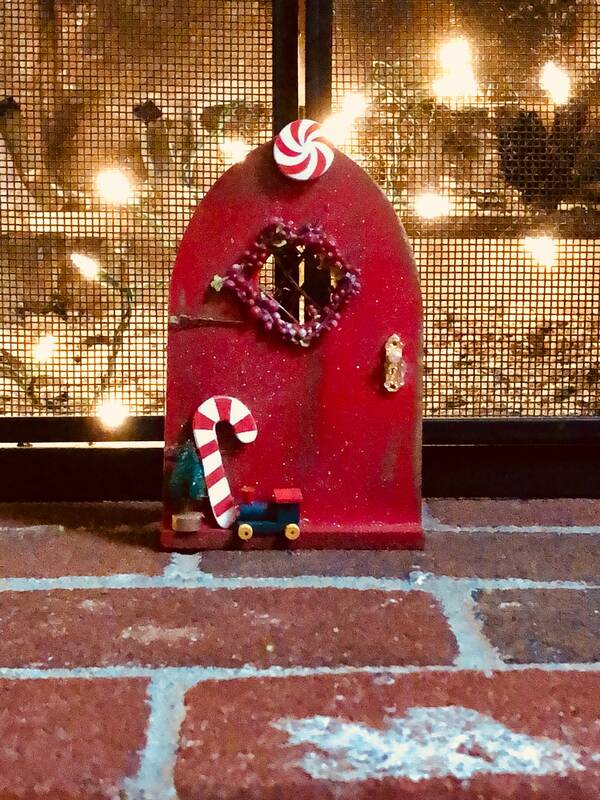 Place this beautiful hand-made fairy door next to your fireplace (or, if you don't have one, near your tree) and Santa's elves will be SO thankful! No more flying at top speed, eyes closed and soot flying, into your home. 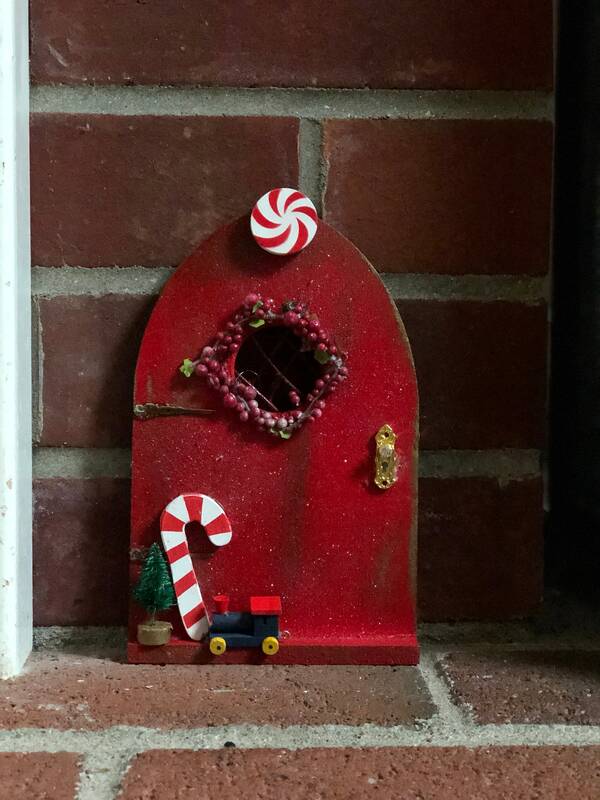 This door is also helpful for the elves on Santa's Spy team who are required to make periodic and clandestine visits into every home in the days between Thanksgiving and Christmas Eve in order to check on who is being naughty and nice. 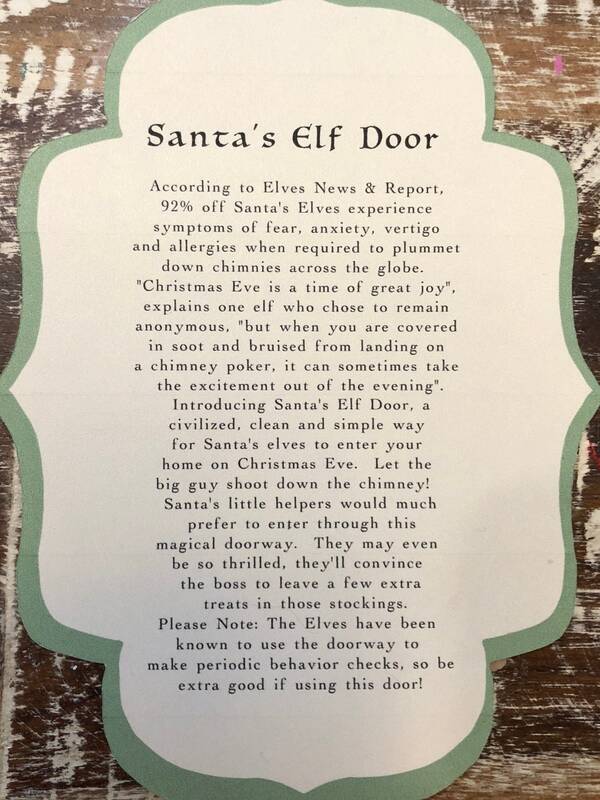 The elves might be so thankful for this much more convenient way into your home, they may just convince Santa to leave a few extra treats in those stockings. Choose red, gold or silver sparkle door. 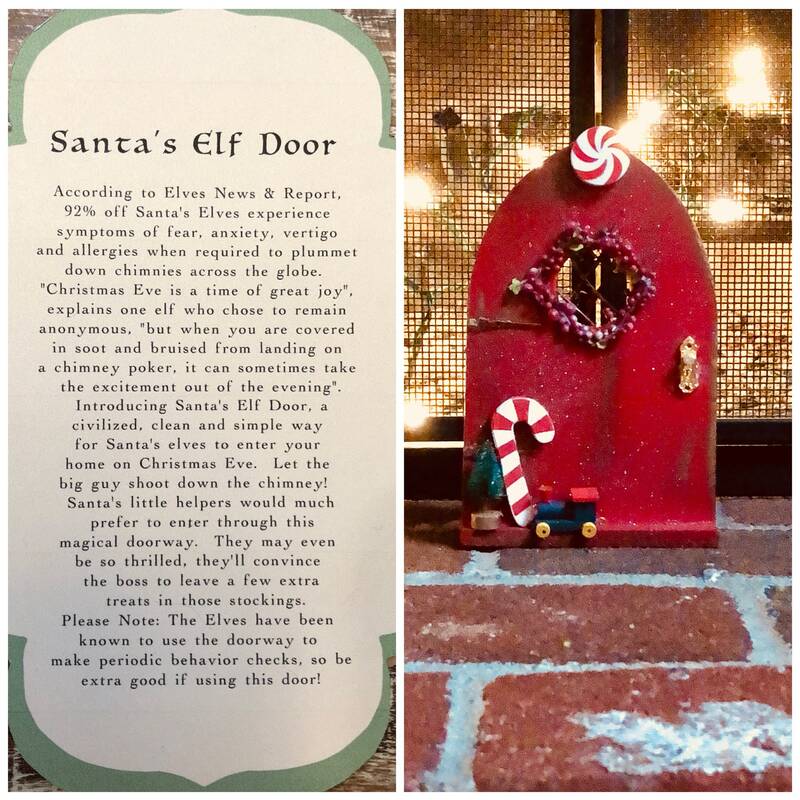 Each door comes with directions and a tiny notecard and envelope so you may leave the elves their own little note (Santa is not the only one who enjoys a note on Christmas Eve! ).